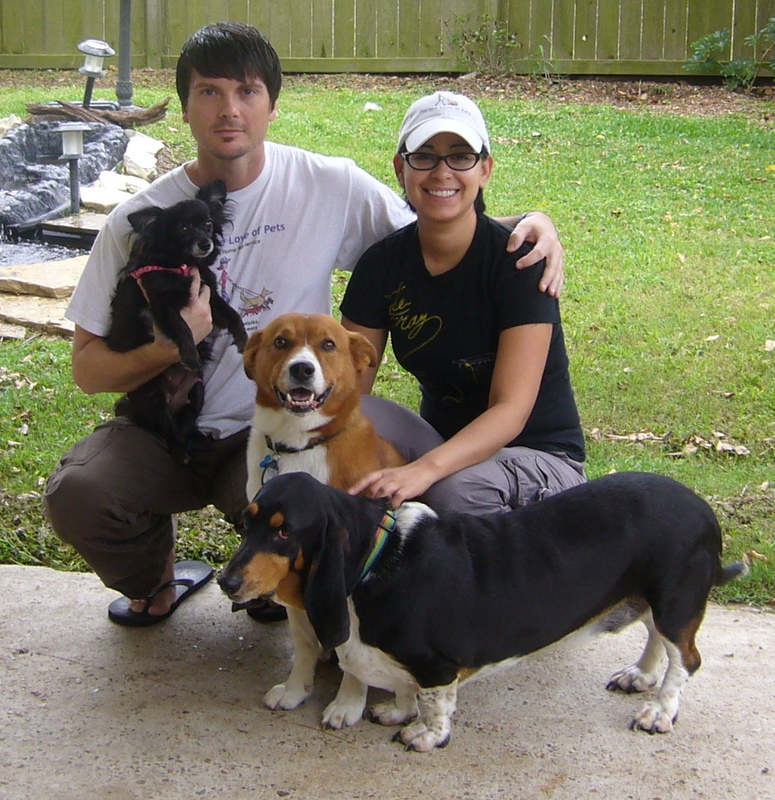 By Tracey and Michelle Galle, owners of For The Love Of Pets petsitting service. It’s 9:00 a.m. and time for our morning dog walk. This walk has become quite the entertaining daily ritual around our house. The dogs have just finished eating and they are already buzzing with anticipation. So we ask, “Who wants to go for a walk?” To which we are answered loudly by three happily barking dogs, who quickly turn to lead us towards their leashes and the door. As we hurry to attach their collars and get underway, we are informed by our smallest, who is also our bossiest, that we are taking too long and that she thinks we need to get a move on. Once we have the collars and leashes attached, its out the door and away we go. It seems as if Michelle and I are barely needed for this walk, as the dogs already know the way we are to go. We just hang on to the leashes and let them have their fun walking and smelling every little scent that comes across their paths. To watch their interaction with each other as they walk is comical at times. When one dog stops to smell something, you can bet that they are all going to stop and smell. Three dogs with their noses to the ground and tails in the air battling to sniff a one inch wide section of grass like there was a t-bone steak buried under it. After a few minutes, we make it to the corner, look for traffic and cross the street. We are now on the home stretch to the park and the dogs know it, they begin to pick up their pace a little bit. As we walk, Michelle and I talk about our dogs and their distinctly different personalities. All of our dogs are rescues, so they can sometimes be a handful. Our oldest is named Shady, rescued from an abandoned warehouse about 9 years ago. He is a red and white mixed breed that lives to bounce from tree to tree, making sure everyone knows he was there. Next, there is our happy boy, Chopper. He is a 3 year old Bassett Hound found on Craigslist, whose owners were going to take to the pound if someone didn’t want to take him in. He honestly always has a smile on his face the entire time we are on a walk. Lastly, we have the newest member of our family Trixie, a black long haired Chihuahua. We are not sure of her age, but the vet feels she is about 3-7 years old. She was rescued by us as she was trying to cross a busy street and was nearly hit by a passing car. We have had her almost a year now and she has turned out to be a real character. She thinks she is the leader of the pack, even though she only weighs 7 lbs., always trying to be out in front during the walk. Michelle then told me about how badly she felt in the past about leaving her last dog Jaz at the kennel when she would leave out of town on a trip. “I couldn’t stand the thought of her having to stay in the kennel for hours on end. She was old and I just couldn’t do that to her, so I started looking for a pet sitter to take care of her and come by to walk and play with her. It was hard finding someone dependable, trustworthy, and reasonably priced. I went through three sitters before I found someone I liked. But when I did, I was so thankful!” That’s when Michelle had an idea. “Why don’t we try to start our own pet sitting business?” It sounded a bit “far fetched“ at first, no pun intended. But, the more I thought about it, the more sense it made. We love animals of all kinds and have over thirty years combined experience taking care of them. It would be a great way for us to make a go at a business together that would bring us and others some real joy and peace of mind. We discuss exactly what we want to try to do with our business that could incorporate all the different things that we had in mind. First, and obviously most important, pet sitting. We would definitely enjoy visiting pets and taking care of them while the owners were at work or out of town. We would collect mail and turn off and on lights making it look as if someone were home, even stay the night at the clients home if the pet needed extra attention. Michelle makes her own all natural dog treats and would like the opportunity to provide them to our clients and any dog lovers out there. We discussed providing our services for reasonable rates because there are a lot of dogs that really need the attention and we were not looking to get rich, just make a good and honest living. We had tons of ideas we just needed to get them together. It didn’t take too long. A few phone calls and a lot of internet research and here we are. For The Love of Pets, pet sitting service is now up and running. We provide a variety of services and we would love the opportunity to help you take care of your pet. 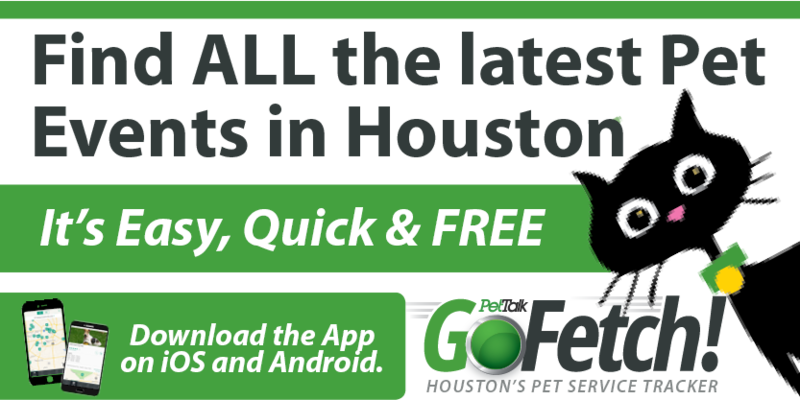 We can be reached by email at fortheloveofpets@hotmail.com or by phone at 832.651.9428, just ask for Michelle or Tracy. Who would have thought that these walks that our dogs and us love so much would end up leading us down an entirely new path in our lives. It’s good to hear that there are good people out there providing pet sitting services! I used to have 3 pomeranians, “used to” because my “ex” took them, he’s very selfish. . . That’s why he’s my “ex” Imagine that- a macho guy walking 3 pomeranians! Whenever we would go out of town we’d have to burden fam members to babysit, those 3 little puffs were a handful especially when mom & dad weren’t around. I was always weary on hiring people, simply because it seems like people go into pet sitting simply to make a buck, NOT because they truely care about animals. So it’s nice to know that “For the Love of Pets” is doing it for the right reasons. I would love to be a pet sitter ! what better job can you ask for?! It’s always a good idea to ask a lot of questions for your prospective pet sitter & dog walker. Ask how long they have been sitting and if they have any particular experience with pets other than just feeding and walking. This is especially true if your pets have any medical conditions and if medicine is being dispensed. You can find some great pet sitters who work in vet offices who will often start off sitting for their clients. Tracy & Michelle are wonderful with my dogs! When I get home after being away from a trip, my dogs have a smile on ! I trust T & M and my dogs wouldn’t have it any other way! Great job! !